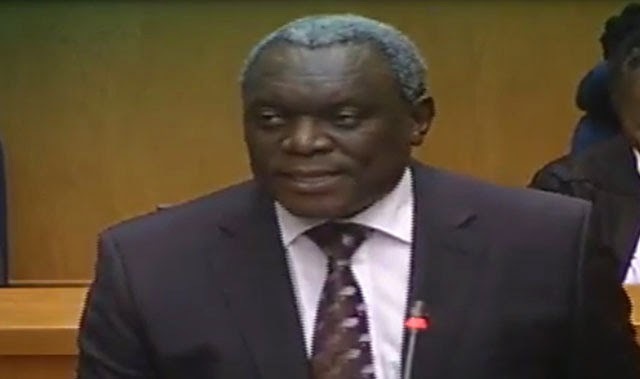 Telecoms minister Siyabonga Cwele has told parliament that government will gazette the final policy on digital terrestrial television migration in the next two weeks. Telecommunications and postal services minister Siyabonga Cwele intends publishing a final policy on South Africa’s migration to digital terrestrial television within the next two weeks. Cwele made the promise in parliament on Wednesday, where he was presenting ahead of his department’s budget vote. But the minister did not say how he intended to overcome the ongoing dispute between MultiChoice and e.tv over whether set-top boxes should include encryption based on a control system. MultiChoice wants the control system ditched, saying it amounts to an unfair subsidy to prospective pay-TV competitors through government’s plan to subsidise millions of set-top boxes for poorer households. Rival e.tv argues it is crucial to support free-to-air broadcasters, particularly when it comes to securing the latest international content. Whatever direction the final policy takes on the matter, there is a high chance that once of the broadcasting groups will challenge it in court. South Africa and most other countries have committed to the International Telecommunication Union, an agency of the United Nations, that they will have completed migration — including switching off analogue TV signals — by June 2015. But a series of delays now means it’s unlikely that South Africa will meet this deadline. However, Cwele told parliament that it is his intention to meet the deadline. “Digital broadcasting migration has faced many challenges. The June 2015 deadline looms before us, and we dare not let our people down,” he said. The minister said that within the next three months, the telecoms and postal services department will “designate the date for the digital switch-on”. “This designation will allow set-top box manufacturers and TV-owning households to prepare for [digital TV] and purchase and install set-top boxes that will make the digital switch-on possible,” he said. Cwele said the total budget currently ring-fenced for the digital migration project stands at about R3bn.